So those of you who have been watching since earlier this year probably remember me covering Eric Taxxon, an independent electronic and synthpop producer who has a reputation for putting out a lot of homegrown but remarkably catchy and varied projects within a year, touching everything from chirpy, lo-fi synthpop to plunderphonics and ambient experiments. Well, guess who is back with a new project - which yes, I'm a bit late to the punch covering, but the fact that my patrons were as willing as they were to vote on it was kind of promising, especially as Taxxon still is very much underground in terms of music critic coverage. And in contrast to the wild experimentation of his career thus far, this album Paul looked to be doubling down on and refining the synthpop sound of his last record The Anthill, with even a few tracks that might even hint towards greater accessibility. And yes, normally that'd throw up a red flag for me but again, very much underground and if Taxxon was going to use that focus to further purify already strong melodic progressions, I was excited about what this could bring. So no more wasting time, what did we find with Paul? Honestly, this is the sort of follow-up record I really like covering, because if you liked The Anthill, Eric Taxxon took the sonic foundations and only expanded upon them more with Paul, especially in the majority of the content. And while I've drawn comparisons between Eric Taxxon and The Postal Service, this time I'd argue he's pulling a bit from Perfume Genius as well, but where Mike Hadreas aimed big on his last few albums, Taxxon is taking a slightly different approach to a queer sexual awakening: just as heartfelt, but opting for hushed intimacy, and where Hadreas could expand to command all the space, Taxxon is content to find a niche within it, letting the space emphasize his lonely, yearning presence. In other words, this is a pretty great little album, mostly because Taxxon seems to be coming into more of his own as a vocalist himself. He'll never have tremendous range or pipes, and the faint, rougher fidelity on the vocal filter is clearly used to ease away some of his weaknesses there, but you can also tell he's more comfortable with his delivery, with the edges accentuating real humanity in a way that doesn't feel awkward or forced. He also leans less on his pseudo-rap delivery - his delivery can still be quick on songs like 'Fanfare' and 'My Genre', but it's more for the sake of storytelling than flexing... although in the latter case we do get 'Teaching Mandolin' which does pick up on some bragging elements that can't help but feel a tad too broadly sketched to fit in with the rest of the project. But again, Taxxon's strength comes through in quiet, intimate humanity - which is why his cover of 'Beauty And The Beast', complete with sparse MIDI backing tones is probably one of the best covers I've heard since Angela Lansbery's original for the movie in 1991, capturing the worn-down yearning and imperfections so much more than effectively than overwrought bombast from Celine Dion or Ariana Grande ever did - such great work there! But again, that's him working with melodies from Ashman and Menken - where I think Eric Taxxon really shines on Paul are the melodies he himself brings to the table. The spiky warbles against the more elegant backdrop on 'Fanfare' that snaps to a tighter focus on the verses against the cleaner percussion, the distant twinkles against the subtle roil of bass that resolves off the plucky synthesized guitar tone on the hook of 'My Genre', the contrast of the prominent mandolin line against a misty vocal sample on, well, 'Teaching Mandolin', all the way to the piano and synth interplay on 'Real Boy' that, no joke, might be one of the best melodic progressions I've heard all year. And maybe I'm just a traditionalist here, but the fact that Taxxon places strong melodic motifs right to the forefront of any mix ahead of the beat or percussion line means even the more understated progressions stick in your brain all the stronger, hanging in spacious mixes with just enough enough faded reverb to accentuate that lonely yearning without drowning it out. Hell, even pure instrumental progressions on their own stick out with this approach, from the muted instability of the titular instrument on 'Organ' to the guitar segment sliced to fragmented ribbons against a vocal fragment on 'Sleep' that still manages to feel oddly relaxing, all the way to the jaunty bounce of the rich synth interplay on 'Stop For No One'. Hell, he even manages to slip something close to a trap beat onto the more eerie oily roil of 'Turn Off', and it fits damn just fine, almost enough to make you think that Taxxon is playing a little too close to the mainstream... until, of course, you get to 'Climax' later on the album and the speaker-destroying blast of distortion that show not just the experimental edge that's always been behind Taxxon's compositions, but also the sharp Perfume Genius-esque contrast that matches the intensity of the encounter. Hell, the only real instrumental I wasn't crazy over was the interlude 'Brass Tears' with its muted watery warble, but even then, it's still not bad. But where I can see the greatest step forward comes in lyrics and songwriting, and it helps that Taxxon has refined his focus towards exploring queer sexuality... and while you get the more nakedly evocative songs like 'Hands' and 'Climax', more of the writing focuses on smaller, more intimate, and almost certainly more relatable scenes. The fluttery, awkward desires to impress a partner on 'Fanfare', with the synth horns a cute embellishment to how love can heighten even such benign moments, to the moment where he develops a crush on a thrash metal guitarist on 'My Genre', befriends him, and is trying to find the moment to confess something more. And I'll give Taxxon points for having an eye for detail - I liked the passing detail that among his crush's metalhead bandmates there's a certain camaraderie that feels natural, that even if they know the truth they're not paying it much mind. But again, by far my favourite lyrical moments come on 'Real Boy', where he meets another guy online who lives halfway across the country in rural Indiana and they build a connection that feels as real and potent as any other love story in person. 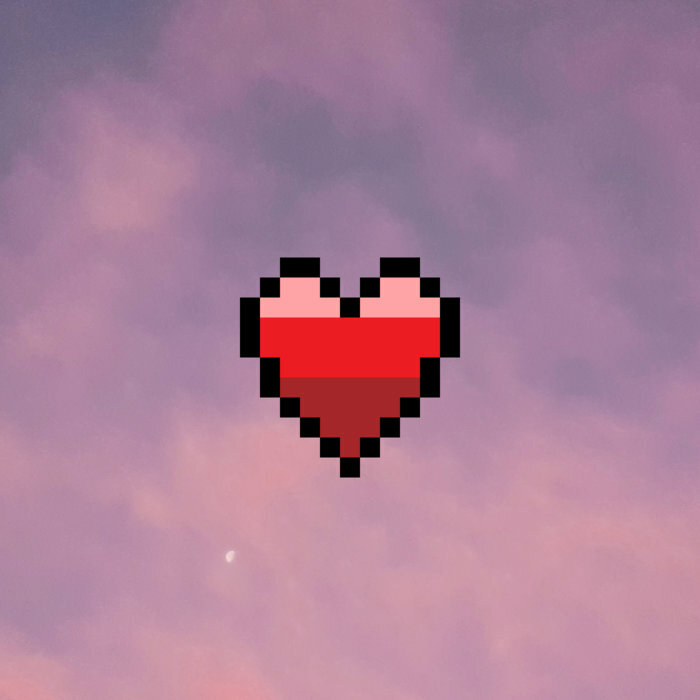 And when you reflect upon the fact that going online provided a safer connection avenue for queer kids outside of coastal cities, it picks up that added touch of wistful reality - they might not be able to find more contact beyond counting pixels, but it's something real all the same. And it's written with the sort of plainspoken nuance that makes me wish Taxxon took to storytelling more often - don't get me wrong, I like the instrumental interludes, but they also make up a third of the record and on top of songs like 'Turn Off' and 'Climax', the record can still feel a tad underwritten. But still, this is the sort of subtle yet beautiful electronic synthpop record that deserves a ton of attention, and I'm happy I finally got around to covering it. Easily among Taxxon's best in terms of writing and melodic composition, it's a record that has such a pure, honest sincerity conveyed in subtle yearning shades that even if I can't entirely relate I can still feel drawn in. I was surprised how much of an audience was receptive to The Anthill, and I can say easily that Paul is better, netting a very light 8/10 and a big recommendation, especially if you like the subtler, dreamier side of synthpop. Again, I don't expect Taxxon to stay in this territory for long - his next project looks to be a single thirty-seven minute track in minimalist techno and UK garage, which isn't much my thing - but if he ever does come back, I'd be happy to hear more.